Children learn best when they are doing something for a real purpose and if it’s fun. Using practical activities is an easy way to support their learning, rnabling your child to engage in practical activities allows them to use their senses to learn. So roll up your sleeves, get your aprons on and bake a cake together. Show your child halves & quarters, measurements, colours, ingredients etc. Whilst spending one to one time with your child allows for them to feel loved and special, it also gives you a chance to squeeze in some learning. This can be reading a story together, singing the alphabet or even role playing. Role play and make believe make things come alive in children’s minds. Sometimes Ashti loves to play the role of a teacher, a doctor, a dentist, a princess and the list is endless! It gives her a sense of responsibility and control. This is an important way to see what she knows and where she makes mistakes. For instance, when she is acting as a teacher, I, as her student, will listen to her sing the alphabet, numbers, shapes, colours etc. As well as correcting any mistakes, I always make sure to keep it fun, sometimes I act silly so she can tell me to sit properly and listen to Miss Ashti. Simple activities such as acting out a story using puppets helps to foster your child’s natural creativity and imagination. 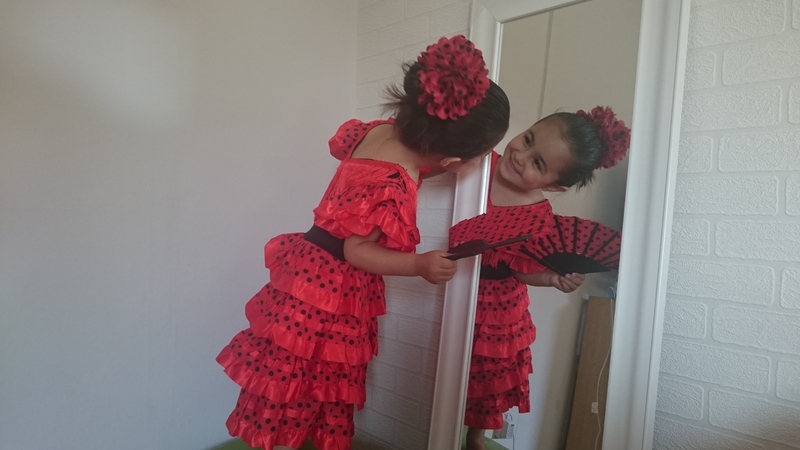 Dressing up time is also a good way to let our children use their imaginations to act out their roles and stories. Allowing our children to socialise with family and friends is also a great opportunity for them to learn social skills. They will improve their communication and conversational skills, learn to share and take turns and have fun through physical activity. I admire the Kurdish culture for it’s warmth and emphasis on involving children in almost every part of the day. I remember the warm yet breezy evenings playing in the neighbourhood with my childhood friends in Kurdistan. Although in the UK we don’t have such a child orientated environment, it’s still important to involve our toddlers and children into regular play groups, activity centres or just meetings with friends so they can interact with their peers. Learning can also be made fun through spontaneous day trips to wherever may be your child’s latest interest. Ashti loves animals, so we recently took her to a farm where she had the most amazing time being able to see, mimic and hear the animals. She became increasingly curious and bombarded us with questions about the animals. True to her Kurdish roots, she had a soft spot for the chickens and chicks. They may not realise this a learning experience but a whole lot of learning is going on! I strongly believe that from a little walk in a park to having a picnic teaches children many things. It makes learning come alive when you step outside. Ashti loves to go leaf collecting. She has learnt to collect leaves of many colours, sizes and textures. While we collect and talk about the leaves I can see how much she learns just by being able to explore to find them, to feel them and play around with the leaves. In our home it’s common to come across Ashti’s collection of twigs, leaves, acorns and pebbles! At all ages, by learning from nature; babies, toddlers and children learn lessons that complement their interests and curiosity or the school curriculum, whilst they have fun and run around in the fresh air. We all love music! 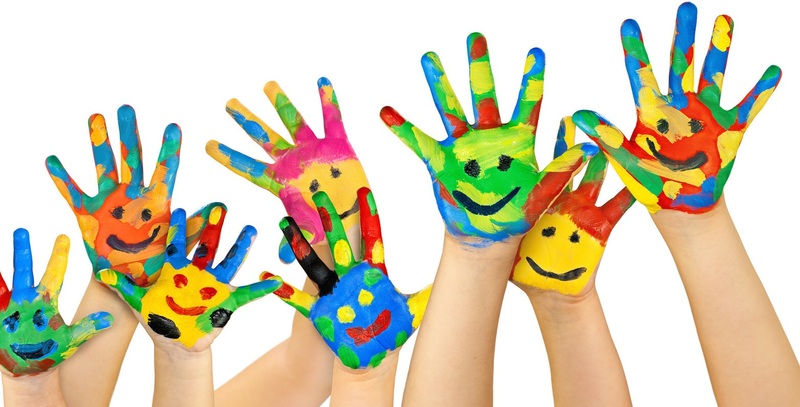 It’s fun to teach children numbers, letters and days of the week through finger play and nursery rhymes. By listening to music it creates a rich environment which boosts learning throughout life. My mother tongue is Kurdish, my husband’s is Spanish and my daughters’ were born in the UK. So they are exposed to 3 languages currently. We speak to them in these languages and this can be challenging as it involves A LOT of repetition. The dominance of English as their main language can make it difficult to maintain their mother language. However, it’s very important to me that my beautiful Kurdish language remains alive and well in their hearts and on their tongues. As well as incorporating these three languages into every day conversation, exposing them to songs in each language and also singing to them in Kurdish has shown me that as it appeals to their senses and is also fun, it helps them to understand Kurdish quicker. Music has a tendency to become ingrained in our minds, so it’s a very effective way to making learning fun. Whilst participating in activities with Ashti, she usually swamps me with questions. This is great because it shows her curious nature and urge to seek out knowledge, but, it can also get quite frustrating when I answer the same question 20 times a day. But I stay positive and continue to show her I’m really interested in the activity and all her questions. Also, when learning new concepts, she makes mistakes which I correct for her. For the past month she uses the word ‘me’ instead of ‘I’ and I find myself correcting it every single time! It’s important to remind our children that everyone makes mistakes and this is how we learn right from wrong. They should feel that it is only natural to make mistakes and that it’s not a weakness. Learning can be challenging and we mustn’t forget that sometimes, it’s a totally new concept for children. Even when we are repeating our daily topic of study, such as numbers, it’s always essential that I remain patient and calm. This will allow for a steady learning atmosphere in which my child will thrive. I can sometimes be like a CD on repeat, but if that’s what it takes, then so be it! I, alongside my husband, are our children’s first point of contact for learning and progress so this is something we must embrace and make an enjoyable experience! There is no rush, it’s best to keep children interested in learning than to force them or bombard them with concepts and information. Remember, there is a natural drive in children to learn. If we follow their lead we will discover many great opportunities for learning and teaching.